By focusing on four critical aspects of land rights, businesses can not only manage risks, but also do a great deal of global good while strengthening their bottom lines. In 2004, the Newmont Mining Corporation hired me to investigate human rights accusations facing its gold mine operation in Peru, despite the company feeling like it had done everything right. It got the necessary government approvals, made legal land purchases, and launched various philanthropic initiatives, yet widespread protestscontinued to disrupt its efforts. After meeting with local residents, I told the company that one critical step toward a solution would involve being more patient and working closely with community stakeholders on finding consensus. Instead, Newmont forged ahead, leading to violent confrontations and suspension of its $4.8 billion expansion plans. Such grave consequences underscore the increasingly important issue of land rights to both companies and communities. As tensions between the Global North and Global South over land continue to rise—exacerbated by the pressures of population growth, climate change, and the hunt for evermore resources—companies must do more to work with local communities to address conflicts like those that have plagued the mining sector in Peru. But having spent the last 10 years working with companies on land rights, my colleagues and I at Landesa know that the challenges aren’t just a risk to be avoided. By focusing on four critical aspects of land rights, companies can do a great deal of good while still strengthening their bottom lines. Land tenure insecurity is often linked with weak land governance, leaving some communities and individuals at constant risk of having their land expropriated or exploited by governments, companies, or more powerful household or community members. It’s a pervasive problem throughout the Global South for most rural communities, including smallholder farmers and particularly for women. The World Bank estimates that less than 10 percent of land in Africa is formally registered in a way that provides legal protection to land owners. 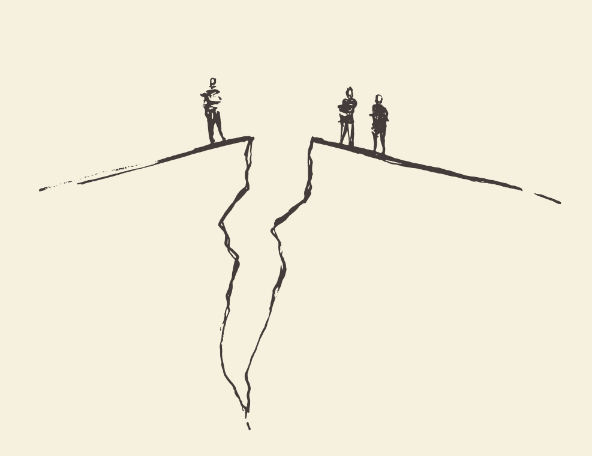 One study of tropical countries found that an estimated 93 percent of concessions granted to investors for extractive activities are already occupied by communities, increasing the chance of conflict. Land pressures and weak government oversight have pushed many investors and companies onto the front lines of land conflicts, creating project delays, reputational harm, and financial losses amounting to many-fold increases in operating expenses. Often, these risks are best managed by working with local communities, civil society, and government to address the broader issue of insecure land rights. One company that Landesa has advised, Africa’s largest sugar producer, Illovo, is doing just that. It faced an array of competing land claims and conflicts on sugar farms in southern and eastern Africa. 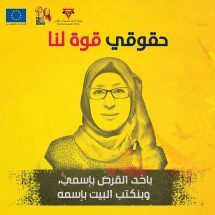 The company is trying to reduce conflict by working with local communities and civil society groups. 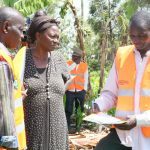 Together, they aim to understand the underlying land rights tensions, map the surrounding land, delineate land holdings, and help local farmers obtain land documentation. Many agricultural businesses rely on vast networks of smallholder farmers. In order to improve the productivity and resilience of these suppliers, companies have promoted the use of better seeds, fertilizer, microcredit, and new technologies. But farmers who are insecure about their land holdings are less likely to make long-term investments in their land or to adopt these changes, and will lack access to credit or government support tied to land ownership. Cocoa production, for example, is dominated by smallholder farmers. The crop’s yields in Ghana, the second largest global producer, have been declining due to old and dying trees. Smallholder farmers are reluctant to replace them due to customary leasing arrangements, which entail the loss of rights to land from which a cocoa tree is removed. Hershey’s is working with the United States Agency for International Development (USAID), along with a local cocoa supplier and traditional leaders, to strengthen land leasing rights for farmers. This will not only encourage the farmers to replace underperforming trees, but also help them obtain funds to improve their operations. Women in more than half the world face legal or customary barriers to their land rights. 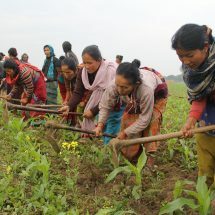 Persistent gender discrimination affects not only women’s rights to use and access land, but also their ability to make decisions about the management of land and its income generation. Too often, women are excluded from negotiations on land deals and deprived of any compensation for land sales. Companies that don’t proactively engage women risk deepening inequalities and leaving a valuable resource untapped. Women, who often bear the responsibility of growing food within a household, possess deep knowledge about how land can be cultivated and managed. Providing them with the same access to inputs as men can increase women farmer productivity by 20 to 30 percent. In Mozambique, for instance, Illovo worked with women and men through farmers’ cooperatives to raise awareness about women’s land rights and to ensure that two-thirds of approximately 1,500 land certificates for a sugar estate were issued in women’s names. This allowed women farmers to contract directly with Illovo to supply sugar cane. Likewise, the cocoa industry is under pressure to secure women’s land rights; Hershey’s for one has recognized that challenge as part of its efforts to empower women farmers. Secure land rights projects like these also provide a foundation for other undertakings to increase women’s economic empowerment, which by one tally include $300 million in investment from 31 companies. Approximately 2.5 billion people live in areas that are held by indigenous people and local communities, encompassing more than half of the world’s land and more than 80 percent of the globe’s biodiversity. Yet only 10 percent of that land is legally owned by those communities. The lack of protection leads to some tracts of the Amazon suffering deforestation at twice the rate as areas that enjoy secure land rights. Companies engaged in sustainable land use, forestry, or payment for ecosystem services, such as carbon sequestration, can often end up displacing communities and undermining their traditional land claims. To avoid these conflicts, organizations engaged in carbon market initiatives—Reducing Emissions From Deforestation and Forest Degradation (REDD+), for example—and certification schemes—such as Forest Stewardship Council—have come to recognize the importance of working closely with local communities. Establishing secure land rights can incentivize and provide the legal support for farmers and communities to conserve forests and practice sustainable land management, while bolstering their livelihoods and food security. 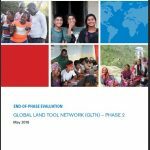 According to a survey by USAID, a number of investors and companies have recognized the importance of land tenure and taken steps to strengthen it. One company involved in selling carbon credits discovered that it had acquired land in the Brazilian Amazon without accounting for historic community claims. 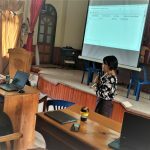 Facing protests and unauthorized logging, the company worked with local communities to help them demarcate their holdings, obtain rural property titles, and seek alternative livelihoods to harvesting trees. The United Nations, African Union, International Finance Corporation, and others have insisted that companies avoid land grabs and include land risks in their due diligence protocols. Thanks to a timely Oxfam campaign, the majority of major food and beverage companies have committed to zero tolerance for land grabs. Many agri-business and extractive companies have committed to the concept of Free, Prior and Informed Consent (FPIC), giving communities a stronger say in how their lands are managed. No doubt chastened by experiences in Peru and elsewhere, Newmont has become one of the loudest public champions of FPIC. 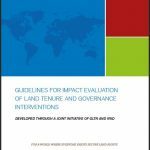 Eleven guides, websites, and other materials on land tenure from the Interlaken Group, an informal network of civil society, companies, and multilateral organizations that focus on the private sector’s role in strengthening community land rights. The resources include IAN, a detailed geographic imaging database from TMP Systems, that indicates where land tenure risk is likely to create investment challenges. Oxfam and industry groups have developed guidance on stakeholder engagement and Free, Prior and Informed Consent (FPIC). Landesa recently launched the Responsible Investments in Property and Land (RIPL) platform with the support of the United Kingdom Department for International Development (DFID). It includes several resources—among them a Commitment to Practice Due Diligence tool and guidance on gender and women’s engagement–to help companies, governments, and communities navigate the land investment process. The Community Land Protection Facilitator Guide and Community-Investor Negotiation Guides, from a network of grassroots legal advocates, Namati, and the Columbia Center on Sustainable Investment, support communities. Driven by high-profile conflicts, companies, and investors have come to understand the risks of ignoring land rights. But simply avoiding conflict won’t suffice. Opportunities abound for companies with the foresight to support the land rights of communities, women, and smallholder farmers as a means to build lasting stability, more robust supply chains, and improved conservation of natural resources.